This cute little bag of herbs and spices mixed with lightly crushed buckwheat makes a pretty little gift. All the ingredients are dried so it will keep for a long time too although the peppercorns will gradually lose their potency over time. 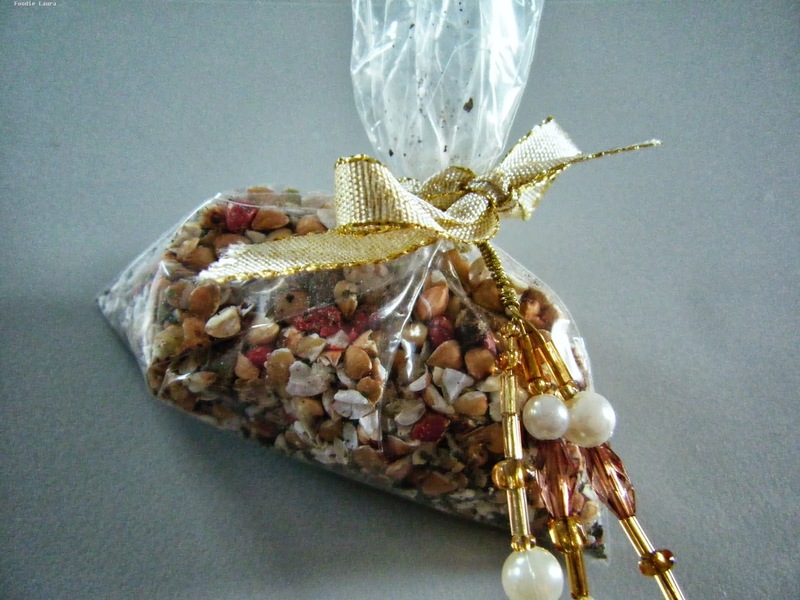 I added a couple of tablespoonfuls to a small plastic bag and tied it up with some ribbon and beads, the bag would look great as part of a home made Christmas hamper. If you wanted you could add a gift tag with instructions for use. it's very simple just rub into your favourite meat before cooking. 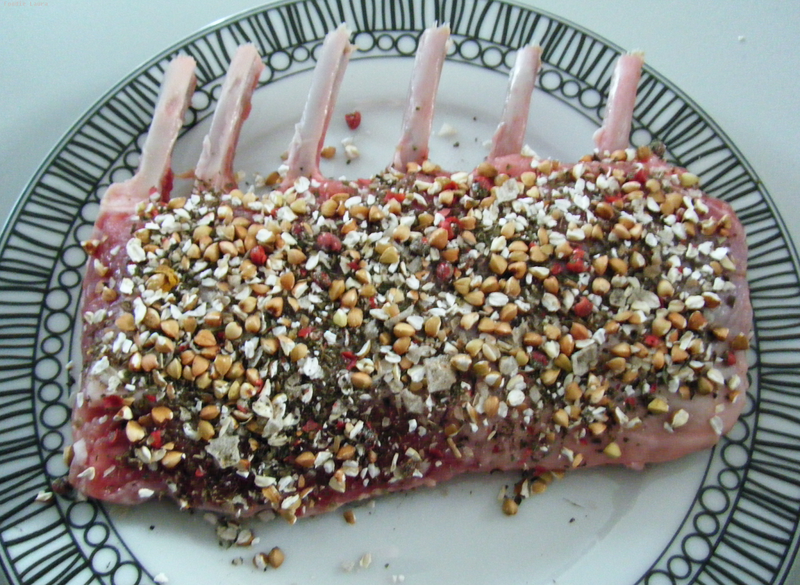 This particular rub was designed with lamb in mind and contains a tingly dusting of dried mint, you can play around with any flavour combinations. 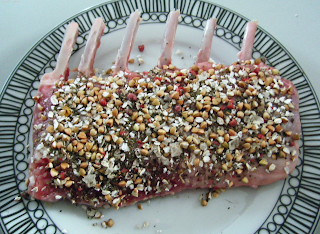 I particularly like using buckwheat as a base for a coarse rub because it gives a lovely crunch to the cooked crust. Lightly bash the buckwheat and peppercorns in a pestle and mortar. Do not grind them into dust, for a a crunchy crust they need to remain coarse. Add the salt flakes and mint and stir together. Split the mixture into two small plastic bags securing them with a bow. You can add a label, beads or any other decorations. When you are ready to use your rub, rub it into your meat before grilling or baking.